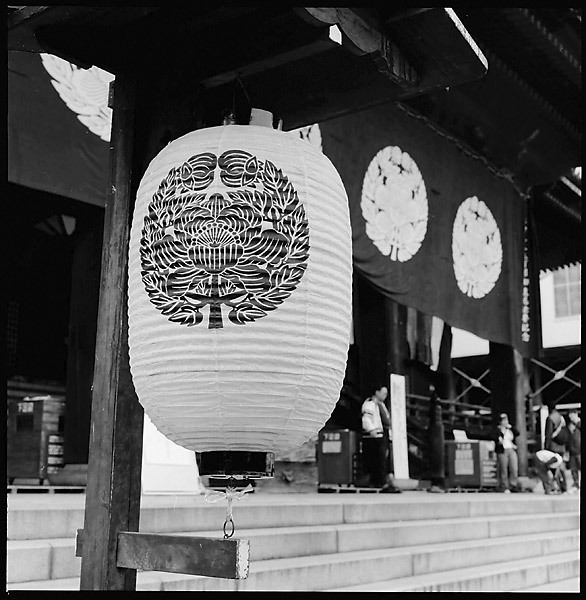 Temple Lantern: Hanging at the entrance to the Higashi Honganji Temple in downtown Kyoto, Japan. Unlike the most of the mountain temples of Kyoto which were Zen, Higashi Hoganji was/is part of the Pure Land sect of Buddhism, which focuses on chanting as the way to salvation. Hasselblad 500C/M, Planar 80/2.8 C T* ISO100, Kodak 100TMX film, Developed with TMax Dev 1:4 7.5min @ 20°C.